If you spend any time reading about finance and small business borrowing in the media, you know the last several years have seen a lot of changes. If you’ve spent any time looking for a small business loan recently, you’ve probably experienced some of those changes. In the same way companies like Expedia, Airbnb, and Kayak have changed the way we plan a vacation, and companies like Amazon.com have changed the way we shop, technology companies are changing the way a business owner gets a small business loan. This is a good thing for business owners. Many of us would likely agree that advancements in technology have made it easier and more efficient for small businesses. Tablet computers, smartphones, and new credit card processing technology are just a few examples. In fact, some of these technological advancements have made it possible for very small companies to compete with their bigger competitors. Over the last several years, and particularly since 2008, it’s been a real challenge for the smallest small business owners to access the capital they need to fuel growth in their businesses and fund their working capital needs. Many banks moved upstream to bigger businesses and potentially bigger loans. It’s hard to blame them: it is almost as expensive for a bank to lend $100,000 as $1 Million. Fortunately, a new cadre of lenders is leveraging technology that enables them to, more efficiently, make loans from $5,000 to $500,000 online. What’s more, these lenders are taking a different approach to how they evaluate a business’ creditworthiness making it possible for borrowers who might not meet the rigid requirements at the bank to still get a loan. In other words, while personal credit score is often a go-no-go metric at the local bank, a business owner with a less-than-perfect personal credit score may still get financing—provided they have a healthy business. 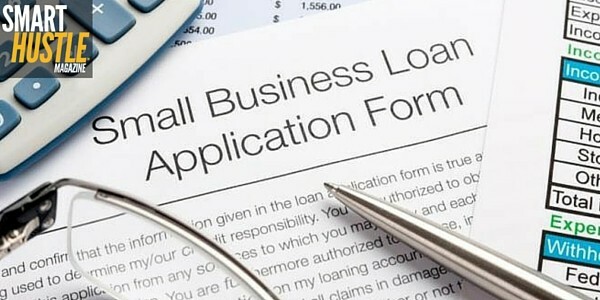 #BusinessLoans are changing for small businesses. Here are 4 things you need to know. 1. Identify your loan purpose. Loan purpose should drive your search. Is it a long-term purchase like buying a new building or purchasing heavy equipment you’ll likely depreciate over several years? If so, a long-term business loan could be the answer. If you’re trying to fill a short-term need, like bridging a cash flow gap, purchasing inventory at a discount, or ramping up for a new contract, you might consider a short-term business loan. 2. Determine what overall cost makes the most sense. A loan purpose with a defined ROI will help you determine just how much you can afford to pay over the course of the loan. For example, a longer-term loan will likely have a lower interest rate, but the accumulated interest over the course of the loan could make the total cost more expensive. A shorter-term loan will likely have a higher periodic payment, but a lower total cost. Borrowing carries with it costs regardless of the loan type or the term—borrowing more than you need might not be a good idea, and if the total cost of the loan is too high, it may even negatively impact profitability. 3. How quickly do you need the capital? There are times when you might not have the luxury of time to wait for how long it typically takes at a traditional bank; which can sometimes take weeks or months. Many online lenders use technology that allows them to respond to your loan request much faster—hours or days opposed to weeks or months. 4. Know what your credit profile looks like. As a small business owner both your personal credit score and your business credit profile (among other information) is used to determine your creditworthiness. Bankers usually like to see a credit score of 700 or better with around 680 as the minimum threshold. The SBA will go a little lower in some instances, but they typically don’t go below 650. Online lenders will work with a business owner who has a lower personal credit score, provided they can otherwise demonstrate a healthy business. Every lender is a little different, but you can use these thresholds to help you decide whether or not it makes sense to approach any particular lender. Many small businesses rely on borrowing to fuel growth and fund working capital needs. For those businesses, there are more options available today than just a few years ago—but you’ll need to start your search with a different approach than what was the norm just a few years ago. Fortunately, technology is making it easier for savvy business owners to apply, make it quicker to get approved, and put access to more capital when they need to grow their businesses. 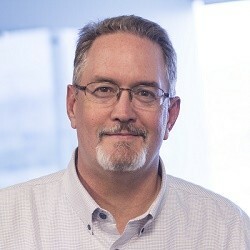 Ty Kiisel is a contributing author focusing on small business financing at OnDeck, a technology company solving small business’s biggest challenge: access to capital. With over 25 years of experience in the trenches of small business, Ty shares personal experiences and valuable tips to help small business owners become more financially responsible. OnDeck can also be found on Facebook and Twitter.